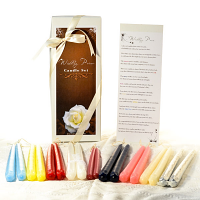 If you are looking for quality candle products, friendly human customer service, and a company dedicated to meeting the needs of our customers, you have come to the right place. At Keystone Candle Company, located in Central Pennsylvania, we take pride in our candles and do what we can to make sure our customers are happy. Keystone Candle was started in 1977. Jeff and Cathy Brown were elementary school teachers at a Christian School in Middletown, PA. To raise money for the private school, they started a fundraising program by making and selling candles. Cathy’s parents, Art and Jane Eccles, were owners of three gift shops, and they bought some candles to sell in their stores. The candles were so popular that Jeff continued to make them in the basement of the Brown’s home. In 1976, when Cathy and Jeff found out they were pregnant, Jeff realized they would need more income to support their growing family. Jeff left the school and went into full time business with Art and Jane Eccles, and continued to make candles. In April of 1977 their first daughter, Kristen, was born, and in July of 1979, their second daughter, Katherine, was born. The business continued to grow and the basement of the Brown’s home was proving to be too small. They needed to look for an alternate location that would fulfill their needs. They rented a garage space in Middletown, PA, close to the Brown’s home to make the candles and they hired a few employees to help. The public saw the sign and kept coming to the candle factory door and asking if they could buy candles. With so many requests they decided to open a small shop in the entrance of the garage to sell to the public. At first, they had a small section in the opening of the building set up as a display area, with a window to look in and see the candles being made. This area soon grew too small, and they began selling candles in the basement of the Paxton St. location. In March of 1988, Jane Eccles passed away, and Cathy Brown left teaching at the school, and came into work at the candle factory to help in the retail. 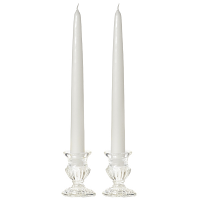 Product lines began to expand, and with the expansion, once again “Candle Lite” needed more room. Also, at this time, the name of the business was changed to “Keystone Candle”. As the Brown’s daughters (Kristen and Katie) grew, they also became more involved in the business and loved to play in the wax. They began experimenting and making candles of their own. Items shaped like hot dogs, plates and cups were their favorite to make. The customers loved the small family business. More expansions were needed and the family decided to add on to the building. In Dec. of 1997, Art Eccles passed away. Jeff and Cathy continued the business on their own. The girls worked during their summer vacations and are now in the business full time. In June of 1999, Kristen married Peter Cowles, Jr. and he is involved in the business full time as well, as the webmaster and manager. Peter and Kristen have two girls of their own, continuing the business with the 4th generation of candle makers. On July 14, 2000, around 7:00 a.m., a fire started in the attic of the candle factory. That morning, our factory completely burned to the ground! With a lot of prayer, hard work, and support from friends, family, and loyal customers, we were able to rebuild and stay in business. Keystone Candle is still growing! Keystone has many different product lines of candles and with its two websites and retail store the products are reaching worldwide! Our candles have been in five different movies, two TV shows and are in even in the Buckingham Palace! Our wholesale division and fundraising programs have also helped to grow the business. With the recent economic troubles, other businesses and local schools have found our products to be just what they needed to keep their businesses going. Originally, Keystone Candle offered hand made votive candles, taper candles, and pillar candles. Growing and diversifying through the years, the company has expanded its line to include all of the products shown here and more. Our mission at Keystone Candle is to provide a quality product, at affordable prices, with friendly knowledgeable customer service, doing all to the glory of God. We hope as Keystone Candle continues to grow, you will follow along with us and continue to love our products.